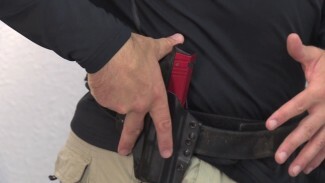 Personal defense modules are customized playlists hand-picked by PDN editors to provide concentrated self-defense instruction and to save you search time. 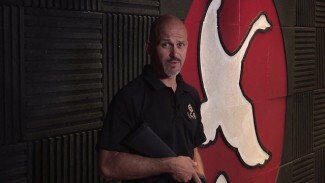 Use PDN’s modules to get step-by-step progressive instruction on the topics shown and a more well-rounded, in-depth perspective than a single random video. 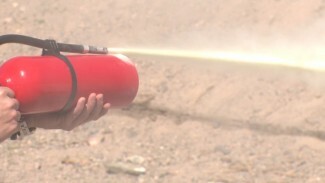 We hope you enjoy this PDN Premium Member feature. 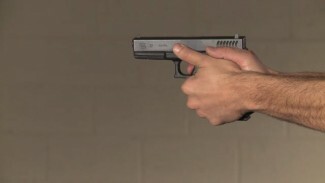 One of the common misconceptions about firing a handgun is that you must have perfect trigger control. 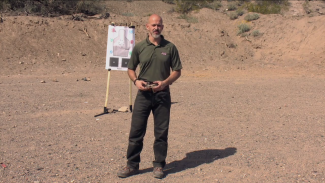 Rob Pincus discusses the errors that can be created when shooters training on static targets spend too much time, effort and energy trying to isolate their firearm unrealistically from moving at all while shooting. 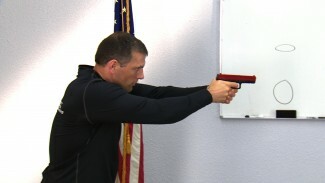 People in defensive shooting situations often use a one-handed handgun grip when they should use a two-handed grip. 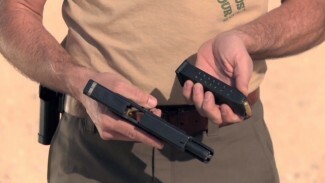 There are several variations on the defensive handgun, from single-action to double-action, short trigger to long trigger, and hammer vs. modern striker fired guns. 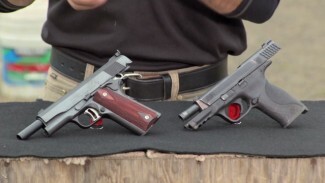 Wondering what caliber gun to get? 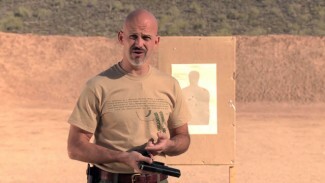 Rob Pincus gives his expert recommendation and explains why he thinks 9mm is the best caliber for defensive shooting and why you should consider it. 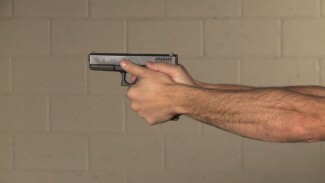 Before buying a defensive firearm especially if you are a first-time gun buyer, give it a trial run at the range if possible. 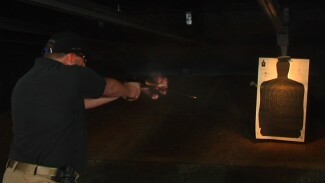 The dual purposes of this test drive are to ensure the gun’s functioning and to confirm that it’s suitable for you personally. 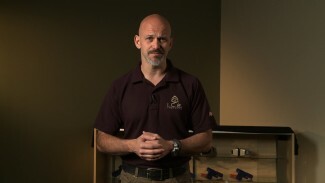 This is especially important if you’re a first-time gun buyer. 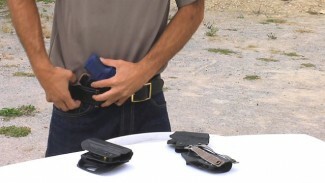 We may need different types of belts when wearing different types of holsters, but there are some universal things to look for in a belt. 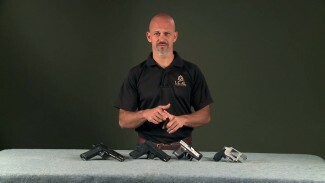 Rob Pincus is on the range with a variety of belts and holsters. 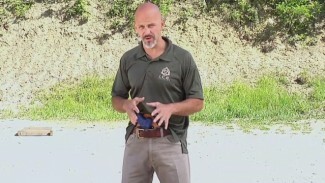 Rob Pincus reviews the advantages of having a holster that holds your gun securely, but also allows for the quick removal of the holster from your body to secure it somewhere else when you cannot carry it, to change clothes, to use the bathroom or for any other number of reasons. 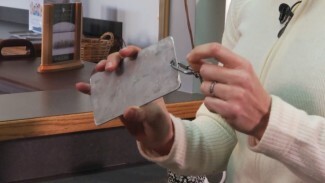 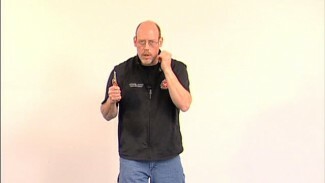 The first step to knife defense is being able to grip your knife properly, and there are three basic requirements for using a combative knife. 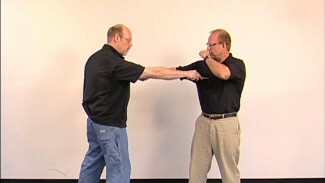 In a real situation that requires you to use a combative knife, your stance is going to be dynamic, but you should at least establish a solid foundation for practicing your knife-wielding tactics. 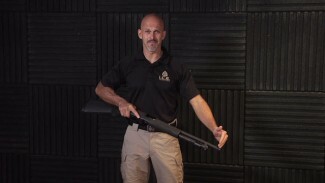 Pump-action shotguns are incredibly powerful tools for personal defense, but Rob Pincus discusses a few of the myths about these weapons that you shouldn’t believe. 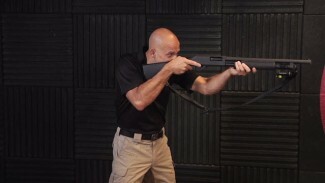 When you consider how you set up your home defense shotgun, you should be aware of the specs that make it optimal for close-quarters defensive situations. 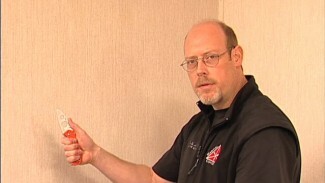 Kelly Muir demonstrates the proper technique for using your knee as a weapon that can deal devastating strikes. 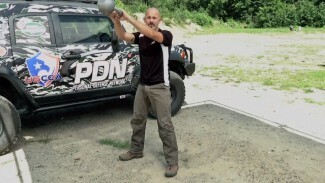 Rob Pincus discusses a training implementation called FitShot, which combines the exhausting workouts of functional fitness with shooting practice. 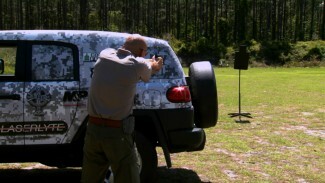 FitShot™ is a program designed to promote fitness in the shooting community. 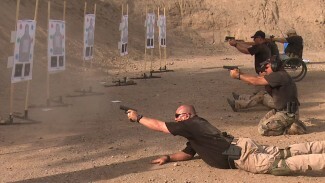 FitShot™ exercises are not meant to be “defensive shooting training.” The push-up can be done slowly or quickly, and with the feet or knees on the ground. 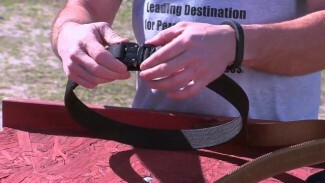 After the push-up is completed, a shot is taken, then the process repeated.